If you're looking for a new way to keep the kids distracted on a rainy day, then making your own puffy paint is a perfect craft. With this simple recipe, you'll learn how to create your own soft and squishy paint. It is fun to paint with and looks cool once it dries. One of the coolest things about puffy paint is that it can peel right off the page and maintain its shape. You can use puffy paint for things like window decorations and clings. 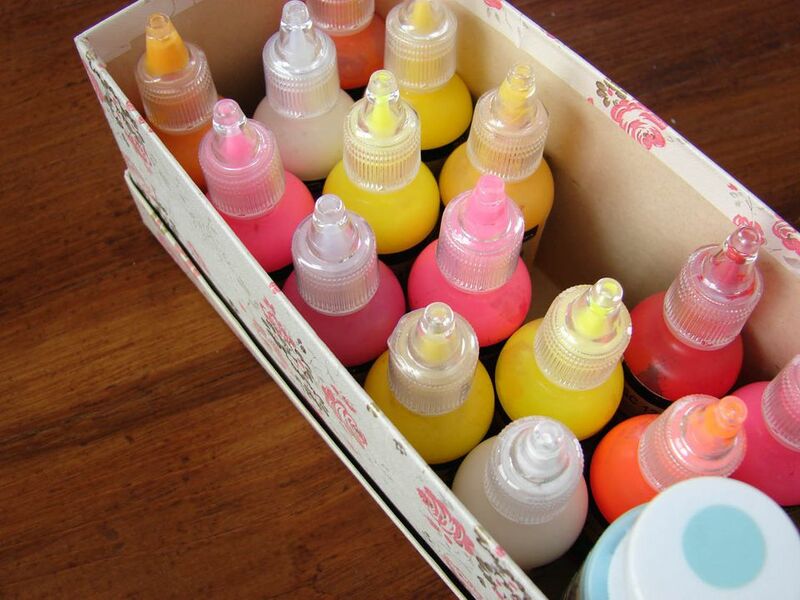 Once you know how to make it, use puffy paint for lots of crafts and home designs. This recipe is safe and inexpensive to make at home. There's even a good chance you already have everything you need to make puffy paint in your home right now. All you need is some shaving cream, Elmer's white glue, and a little food coloring! The unique texture will give you and your kids hours of fun. Making puffy paint is a project best suited for children two years old and up. Once you gather the materials, it should take about 15 minutes (not including drying time). This project can be modified to suit other ages and may take more or less time depending on your circumstances. Remember you should always supervise young children while making puffy paint. The puffy paint (and all of the materials) should not be consumed. Put down newspaper to protect your working area against spills. Wearing an apron is also a good idea. Mix equal parts of shaving cream and Elmer's glue in a plastic or glass bowl. Add food coloring, a few drops at a time until you get the desired color. It can be as dark or as light as you want. Mixing primary colors will allow you to make any color in the rainbow. Be careful not to get any food coloring on your clothes because it may stain. Apply the glue mixture to heavy paper using a brush. You can also pre-cut shapes out of the paper or tag board and then apply the glue mixture to the shapes. Window Clings: Paint the puffy paint onto wax paper in small shapes and designs. Let the paint dry overnight and then peel off the puffy paint from the wax paper. It will stay in its shape. You can place them on the window and they make super fun window decorations. These are great to make for the holidays. Puffy Paint Shirts: Add puffy paint to t-shirts or sweatshirts in fun and cute designs. Let the paint dry overnight on the clothing, then it will be time to wear it in style. Be sure to only hand wash the decorated shirts. Puffy Paint Greeting Cards: Add a little puffy paint to a folded greeting card for a cool 3D look. Kids will love to make different shapes and creations with puffy paint and then gift their cards to friends and loved ones.